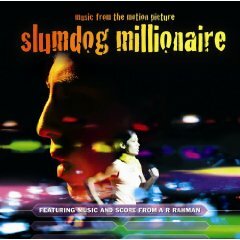 “O Saya” from Slumdog Millionaire, A.R. Rahman and Maya Arulpragasam. Bruce is a snub/surprise but I’m not sure the Wrestler/Aronofsky so much is. Nobody woulda cared about this movie if it wasn’t for Rourke’s performance. He’ll win the Oscar. I don’t think anyone *really* expected Wall-E to be nominated for Best Picture when there’s a separate Animation category, though it was the best movie of 2008. Richard Jenkins was a surprise, and a welcome one at that. And Kate Winslet getting nominated for the Reader, which many thought would get her a Supporting nom (just like GGs) is surprising, as is it getting a BP nom and not Revolutionary Road. For me, not many surprises at all this year. 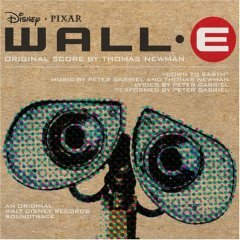 Agreed, Jenkins was a welcome surprise and I guess I never really thought Wall-E would get a best picture nod until I saw so many critics placing it on their “best of” lists. A fine example of how the Best Animated Feature category cuts both ways, but I suppose people knew that when they lobbied to have it created. I still think Downey Jr. was a pretty big surprise in Best Supporting, I mean he was hilarious in Thunder, but did anyone really think he would get an Oscar nod (which he will most likely lose to Ledger). Mickey will probably win for “The Wrestler” and you might be right about the Aronovsky BD/BP thing, but at least this movie makes up for “The Fountain” debacle. I was also kind of surprised to see “The Reader” nominated for BP as I’ve heard mixed reviews. Blame The Reader on two rules: Holocaust Movies ALWAYS Get Nominated; and Harvey Weinstein Can Get Anything Nominated for Best Picture.